Interesting Facts About Solar Energy. Current and historical solar energy facts and general info. 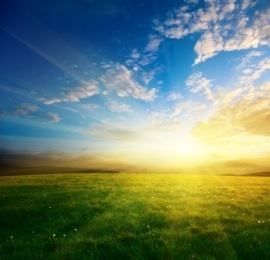 Solar energy info and facts from the past, present and future of solar power. Here's a collection of facts about solar energy from our library of solar energy info and historical facts. Solar delivers as an alternative energy. Facts and data on renewable energy point to solar as a strong contender in our quest for greener energy solutions. Where does solar power stand as an alternative energy and where is it going?Is Solar Power the best alternative? You be the judge. The solar energy (sunlight) that falls upon the earth in 20 days, provides energy in an amount equivalent to all of the oil, coal and natural gas reserves stored within the earth. In less than 1 hour enough solar energy reaches the earth to provide the entire population of the planet with energy for one year. Every day, the amount of sunlight that strikes earth is enough to provide energy, at the rate at which we're currently consuming it, to all of the earth's inhabitants for 27 years. 100 square miles of solar panels placed in the US's southwestern quadrant could power the entire continental US, permanently. Demand for solar energy has grown at a rate of approximately 25% per year since the early 1990's. In 2006 a 33% demand increase showed in the US market. Ironically, fossil fuels began life as plants and animals that were reliant on the sun (solar energy) to sustain life. The sun is a completely renewable form of energy. It renews itself faster than it can be collected. Passive solar energy is free. Passive solar power refers to the utilization the heat and light of the sun and orienting windows and other openings to take advantage of the sunlight that spills on your property. Sometimes thermal mass is used to store heat for use when the sun is no longer shining. Our environmental condition could be vastly improved by capturing even a fraction of a percent of the sunlight that spills daily on the earth. 12% of your solar energy is lost when an inverter is used to convert power from DC to AC. Establishing solar energy in island and remote territories can be much more cost effective than a grid connection. Solar energy is the most abundant renewable resource available in the world. In 1921 (82 years after Edmond Becquerel first demonstrated photovoltaic activity) Einstein was awarded the Nobel Prize for his theories on the photoelectric effect. As early as 7th century BC, it was discovered that a fire could be started by directing a ray of sun toward a flammable substance through a piece of glass. By 3rd century BC, Romans and Greeks were regularly setting ceremonial torches alight by reflecting sunlight through mirrors. Sunlight was such a respected source of heat and light in 6th century AD that Justinian's Sun-Right Law provided for all buildings to have a right to the sun's rays. The law prevented the construction of a new structure if it would block the sun to an existing building. The Anasazi cliff dwellings from the period of 1050 to 1300 AD were developed to make use of the available passive solar energy. 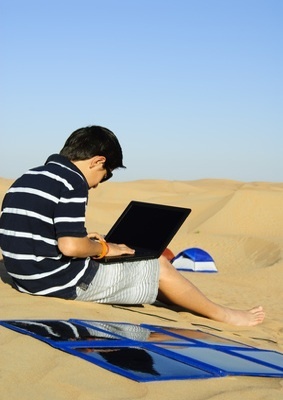 The first solar power cell was produced in 1883 using selenium as the semi conductive property. Very small amounts of electricity were forthcoming but it was a promising beginning. It will cost about the same amount of money to include passive solar design concepts in a house design, as it will cost if you don't. Passive solar power can save you thousands of dollars on energy costs over the lifetime of the house and can cost very little to establish. Using a solar water heater over a 20 year period, will prevent roughly 50 tons of carbon dioxide emissions from being released into the atmosphere. The first commercial solar water heater was patented by Clarence Kempin 1891, an inventor from Baltimore. In 1767 the first solar cooker was invented by Horace de Saussure. Capable of reaching temperatures of 230 degrees F. it could produce enough heat to boil water! 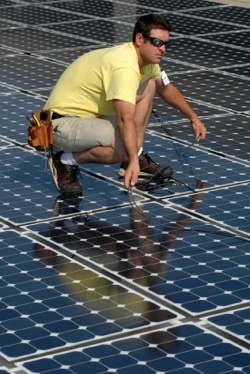 Solar cells are composed of silicon (as are computer chips). Silica is found in sand which is one of the most abundant substances on earth. A photovoltaic array is likely to keep producing solar energy for 40 years...or more. Systems that were established in the 1970's are still productive today. Monocrystalline photovoltaic cells are composed of one (mono) silicon crystal. Monocrystalline is less available and more expensive than polycrystalline because of the amount of time it takes to grow the crystal. However, monocrystalline is more effective in hot weather and starts collecting light earlier in the morning and keeps collecting later at night than polycrystalline cells. Polycrystalline photovoltaics are composed of many (poly) smaller crystals of silicon making them less expensive, more abundant, more available and unfortunately, a little less efficient. Rollable, foldable and otherwise furlable solar panels are made from thin film (amorphous) solar which is much more portable than rigid PV panels. Nano solar technology has seen the development of a spray on solar product that can turn almost any surface into a solar panel. Thin film "panels" are being manufactured at a cost that is much more affordale than photovoltaics. Thin film technology (nano solar) has collectors so small that they can be incorporated into fabrics and paints. Able to be rolled off a printing press or painted on to a surface, thin film collectors promise to be much less expensive, but also less efficient. At this point thin film (amorphous) solar is less efficient than photovoltaics but it's cheaper and has the added bonus of picking up the infra red spectrum of light. The marriage of thin film and photovoltaics will likely produce the collector we've all been waiting for - Inexpensive, smaller and efficient. Although silica is an abundant resource the process of converting the silica into silicon is laborious and expensive and that's why solar panels are so expensive. The initial cost of $1,500 to $4,000 for a solar water heater will be paid back in energy savings in one to seven years. 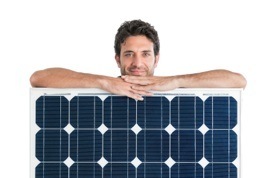 A solar power water heater can reduce water heating costs by 50% to 80% each year. Water heating represents about one third of your energy bill. 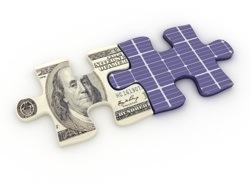 A residential solar system will typically cost between $8 and $10 per watt. Here's a comparison between the cost of a car and a solar power system. The cost of a $15,000 car over a 10 year period ($15,000 + Insurance & registration - $500/yr + fuel & oil - $200/month + parking - $30/month) will be at least $35,600 (we have not factored in maintenance and our estimates are very low). At the end of the 10 years you will have a car that is worth almost nothing and has not saved you a single penny. A $35,600 residential solar power system at the end of 10 years, will have already saved you, (at $50.00 per month), $6,000. Additionally, the solar system will still have an expected life of 30 more years in which it will produce free power for your home. Just like your home, a residential solar power system is an investment that pays for itself over time. It may take many years but it will pay for itself. May 2009 - Sanyo has announced their new hybrid solar panel. Incorporating both single cell silicon pv, and thin film (amorphous) technology these are the first of the latest in solar advances. These "3rd generation" panels are known by their registered trademark name of HIT and have achieved up to 17.1% efficiency. Although that may not seem like much of a leap to you, remember that because this is a combination of pv with thin film (amorphous) technology the panels work for more hours per day and are capable of picking up spectrums of light that pv alone, can't. Sanyo has also factored in design elements that make these panels function better in high heat and easier to install. Visitors to our Facts About Solar Energy page may also be interested in the following pages.